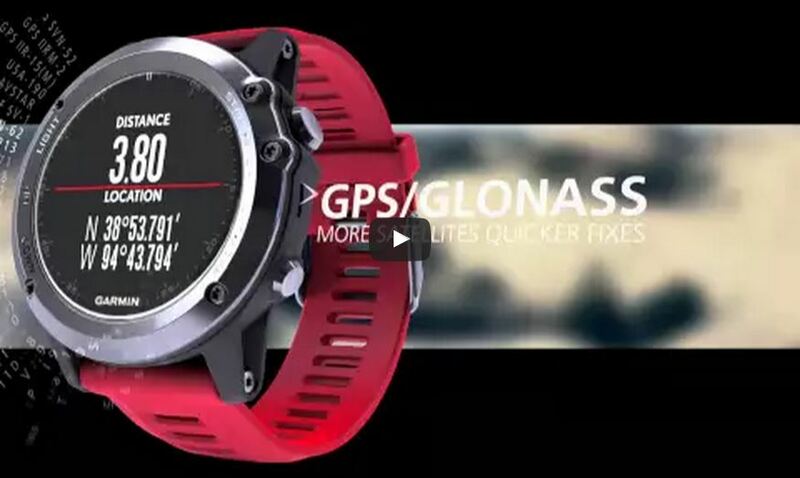 fēnix 3 is available in 3 bold models: grey with high-strength, scratch resistant, crystal and black band; silver with red band; and the premium sapphire model with a stainless steel band and sapphire lens. 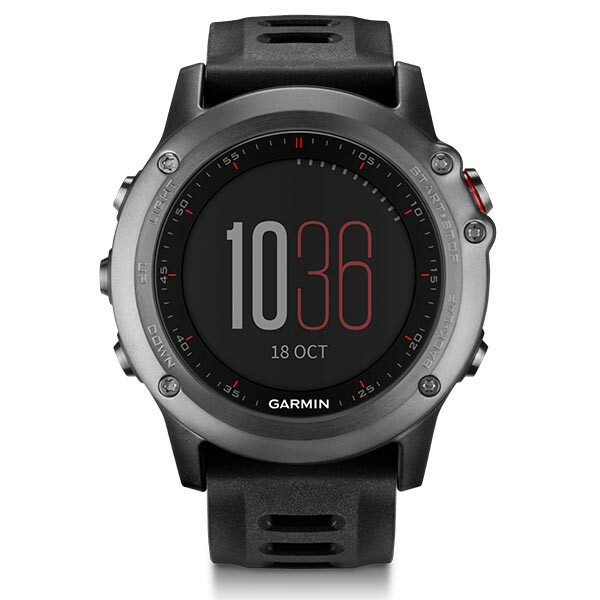 Each watch features a protective stainless steel bezel and buttons, and reinforced housing for extra durability. A sunlight-visible high-resolution colour Chroma display with LED backlight lets you access your data in any light. 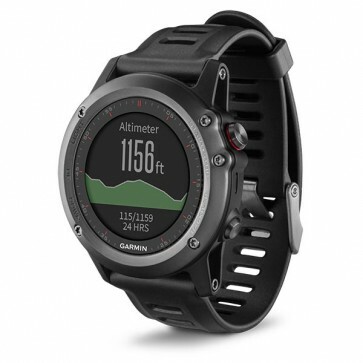 fēnix 3 is water rated 100 meters and has a battery life of up to 50 hours in UltraTrac mode, 16 hours in GPS mode and up to 3 months in watch mode (all depending on settings). BaseCamp™. 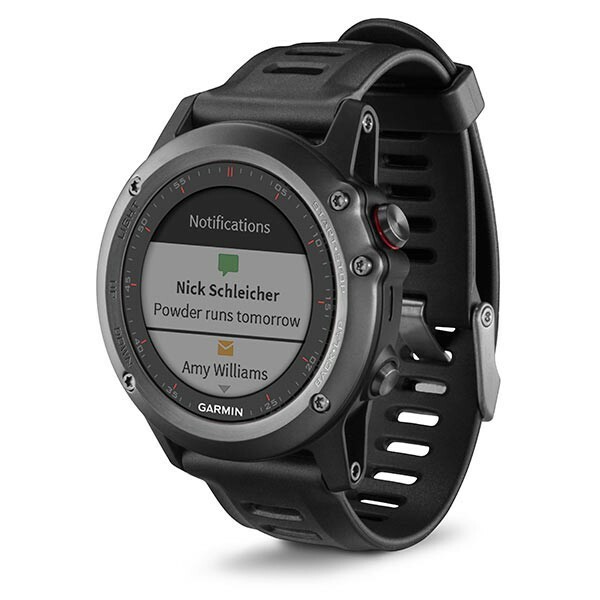 fēnix is equipped with both ANT+ and Bluetooth® Smart capabilities to wirelessly share locations, routes and geocaches. fēnix 3 uses the ConnectIQ platform for specialised software so you can personalize your watch with customised apps, widgets, data fields and unique watch faces that make your Garmin smartwatch even smarter. 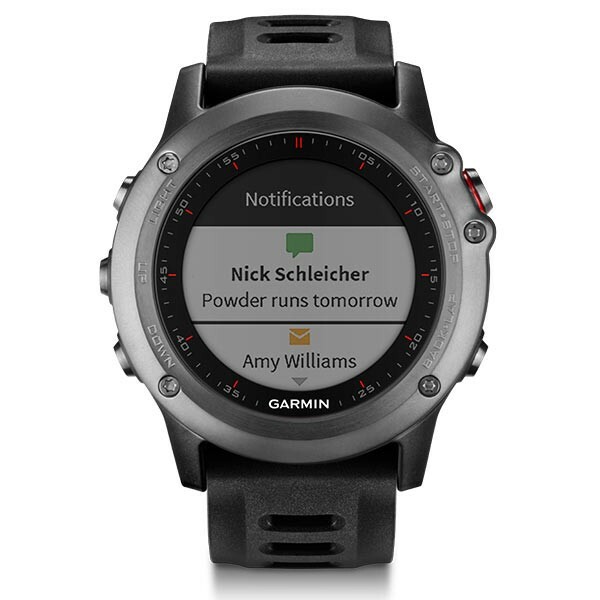 Smart Notifications lets you receive emails, texts and alerts right on your watch, even if you're on the trail. fēnix 3 receives the wireless signal from a compatible iPhone® 4s or Android™ smartphone² and let’s you know you have a message, displaying the text on its own screen whenever you’re ready to read it.